Here is the tea box Agathe, a beautiful tea box retro design that will bring a touch of originality to your home decor and allow you to store your tea infusions. 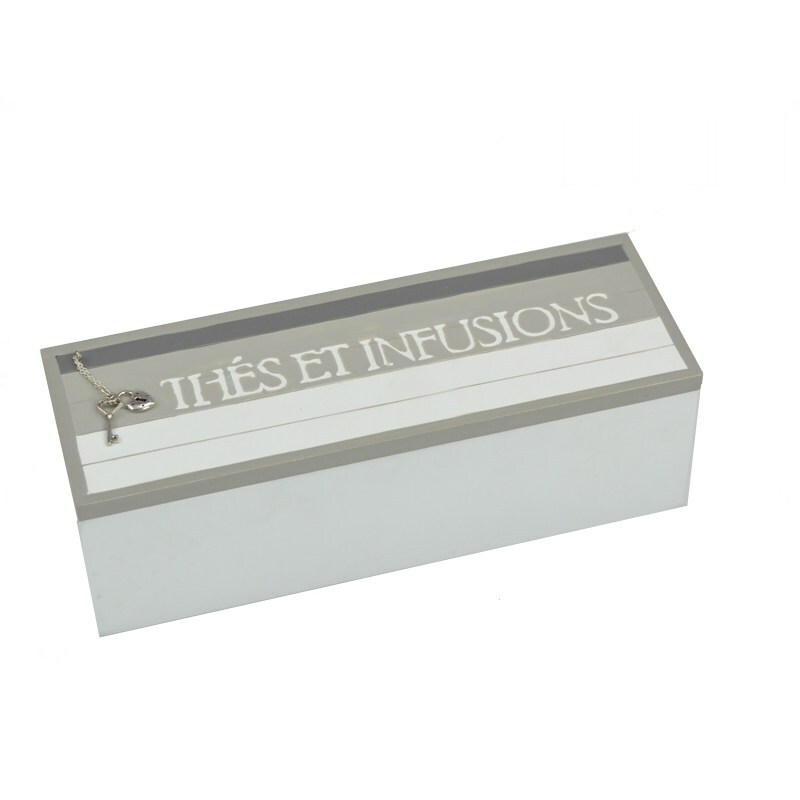 We present you the Agathe tea box, a device that will serve you as well to carefully store your tea infusions in a total of 3 different compartments that decorate your interiors with its very successful vintage design and light colors. 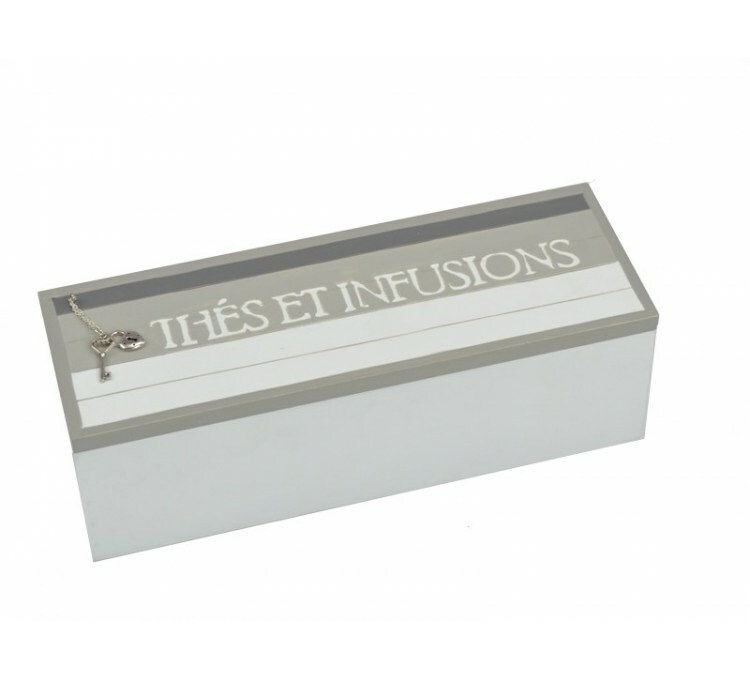 The tea box Agathe measures 26 cm and therefore knows how to be discreet, it can nevertheless accommodate a large number of tea infusions. Its highly worked vintage design and light colors allow it to be easily adapted to all types of interior decorations. It is made of wood and therefore maintains a soft, dry cloth. Its 3 compartments will allow you to carefully sort and store all your tea infusions.